[32% OFF] 2019 Rolled Up Sleeve Striped Blouse In ROSE RED | ZAFUL .. 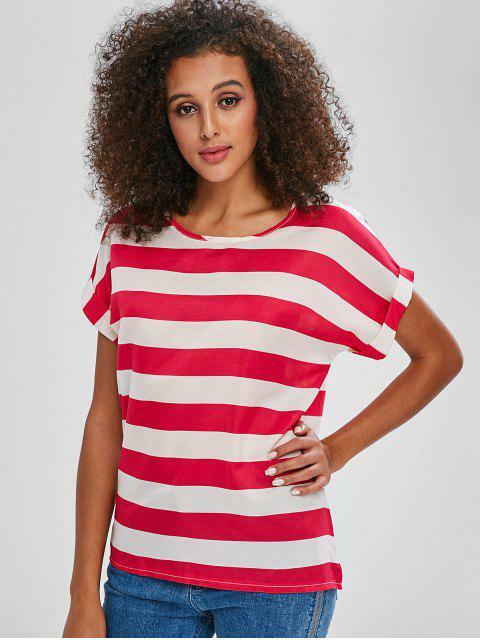 This short-sleeved blouse is contrasting with the classic striped design for an adorable modern look, which is edgy with the rolled-up sleeves for an extra edge. Just pair it with your favorite jeans or shorts to complete the look.